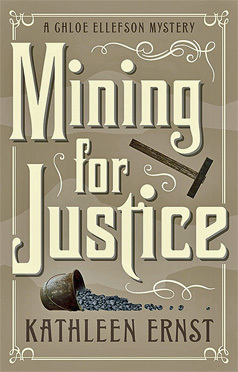 Mining for Justice is and the series takes the reader into a history lesson while weaving a story that not only captivates but fascinates the reader into learning more about history and olden times. 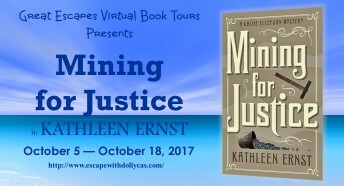 Kathleen Ernst is a real treasure. 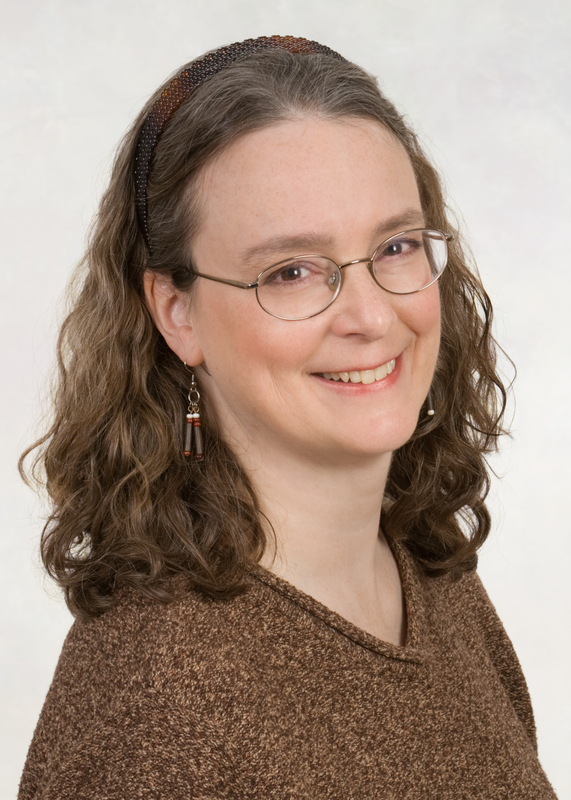 She researches these stories intensely and creates fictional drama based on facts that keep the reader fascinated from the first page to the last. 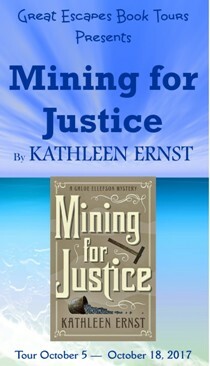 Mining for Justice is a highly-entertaining, well-written and researched book. If Ms. Ernst is not on your ‘new-to-me-to-try’ authors’ list, she should be. I enjoy learning about history reading your books. I am so excited to have found this book… it’s sounds like a humdinger!